This glossary provides definitions for many of the records management terms found on this website and in training courses. 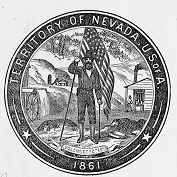 Note that definitions are specific to the Nevada and the Nevada State Library and Archives. Active Records - Records that are regularly used for the conduct of the current business of their creator, and therefore, continue to be maintained in office spaces (also called current or working records). Agency Specific Retention Schedule - retention schedule governing the disposition of records unique to one agency. Archives - The state records repository responsible for selecting, preserving, and making available archival records. Authorization Form - A form sent to the State Records Center by an agency that lists the authorized employees who may access the agency’s records. Also known as the State Records Center - Authorization Form. Convenience Copy - A duplicate set of files or documents located near the point of usage for convenience or reference. See also, Non-record. Destroy - Means to recycle or shred records in a non-secured manner. To use this method of destruction, the records must not contain any confidential information. Destroy Securely​ - Means deliberately, permanently, irreversibly removing or destroying the records in a secured manner so that the records cannot be reconstructed, in accordance with NAC 239.722. Destruction Hold - Suspending the process of routine destruction of records when it is determined that the records may be relevant to foreseeable or pending litigation, government investigation, or audit. Disposition - Instructions for the destruction or transfer of records once all business and legal obligations are met. File Break - The event date where existing file folders are closed and new file folders are opened. This action is necessary to implement retention periods and usually occurs at the end of the fiscal year or the end of the calendar year. File Management - Oversight of the administration of activities relating to the creation, use, maintenance, and disposal of files in order to ensure that the operations are efficient and economical. File Plan - A written procedure and set of guidelines for organizing files based upon a specific system, such as alphabetic, numeric, subject, functional, etc. General Records Retention Schedule - A retention schedule governing the disposition of records series that are common to several or all agencies. Inactive Records - Records that are referred to so infrequently in the conduct of current business that they may be removed from the office and either retired to the State Records Center or destroyed, per the appropriate records retention schedule approved by the State Records Committee. Life Cycle - The progression of records from creation and receipt through distribution, use and maintenance, to a final disposition. Non-Record - This includes publications, worksheets, drafts, routine replies, telephone messages, blank forms, and extra copies of documents created for convenience or public distribution. Non-records may be destroyed when no longer administratively needed. NAC 239.051 "Nonrecord" defined. Office of Record - The office responsible for maintaining the most complete set of a particular records series. Official State Records - An Official State Record includes without limitation any: papers, unpublished books, maps, photographs, electronic information, and other materials made or received by a state agency as evidence of the organization, operation, policy or activity of that organization. NRS 239.080 Also known as public record or as record. Does not include Non-Records. Public Records - Documents a transaction or activity which includes all mediums regardless of physical form or characteristic and is considered a public record if it is produced, collected, received or retained in pursuance of law or in connection with the transaction of public business. Records Center - A facility within the Nevada State Library and Archives established to store the inactive records of Executive Branch agencies. Records Disposition Authority (RDA) - The control number assigned to a records series. Records Management - The systematic control of records throughout their life cycle. Records Official - Designation of records official for certain state agencies; forms and procedures applicable to requests for public records. 1. The head of each agency of the Executive Department shall designate one or more employees of the agency to act as records official for the agency. 2. A records official designated pursuant to subsection 1 shall carry out the duties imposed pursuant to this chapter on the agency of the Executive Department that designated him or her with respect to a request to inspect or copy a public book or record of the agency. (c) By regulation the procedures with which a records official must comply in carrying out his or her duties. 4. Each agency of the Executive Department shall make available on any website maintained by the agency on the Internet or its successor the forms and procedures prescribed by the State Library, Archives and Public Records Administrator and the Attorney General pursuant to subsection 3. 1. Except as otherwise provided in subsection 3, the head of each state agency shall designate a records officer. A person designated pursuant to NRS 239.008 to act as records official for a state agency may be designated as the records officer of the state agency pursuant to this section. (f) Coordinate the training of officers, employees and agents of the state agency on the retention and disposition of records. 3. Until the head of a state agency appoints a records officer, the head of the state agency is ex officio the records officer of the state agency. (b) Shall notify the Division, in writing, if the records officer has been replaced. (c) Direct to the records officer of a state agency any correspondence relating to the retention and disposition of records of the state agency. Records Series - File units or documents that are kept together because they relate to a particular subject or function, result from the same activity, document a specific type of transaction, take a particular physical form, or have some other relationship arising out of their creation, receipt, maintenance, or use. Transitory Records - A general term for those types of records that lose their value within a short period of time (approx. 3 months) and that should be separated during filing from records requiring longer retention or until the purpose for which it was created has been accomplished and the record can be destroyed. NAGARA The National Association of Government Archives and Records Administrators. ARMA International ARMA International is a not-for-profit professional association and the authority on governing information as a strategic asset. Institute of Certified Records Managers The Institute of Certified Records Managers (ICRM) is an international certifying organization of and for professional records and information managers.